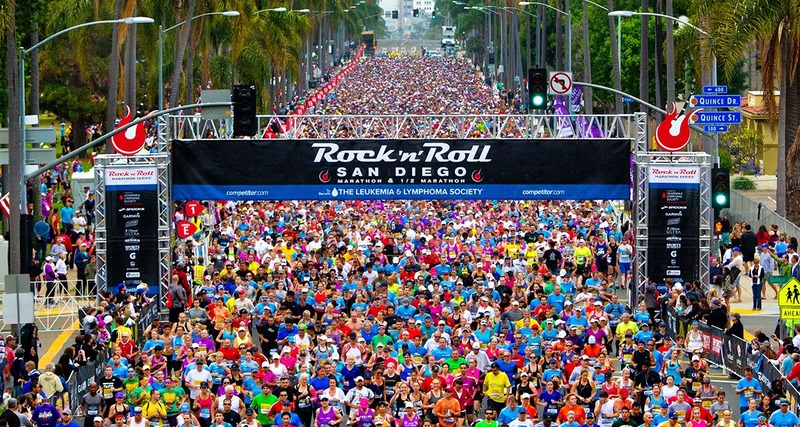 Runs with Sole: Run the Rock n Roll San Diego Half Marathon with Sole! Run the Rock n Roll San Diego Half Marathon with Sole! We are very excited to announce an all-new half marathon training program! Join us as we train for San Diego's premier event: the Rock n Roll San Diego Half Marathon! This is the first time we're training for this race and we can't wait to see all of our Sole Mates complete this great race in the heart of our beautiful city! In this laid-back, supportive, non-competitive and FUN program, runners get a detailed training plan, weekly coached runs, unlimited contact with the coach, email newsletters, discounts on running gear, product samples, a technical t-shirt, a one-on-one fitness assessment and running form analysis with Coach Jenn (a $100 value! ), as well as informational seminars on nutrition, injury prevention and much more! Race registration isn't included in the program fee. ​Program Logistics: We will meet Sunday mornings at 8:00am at Moonlight Beach, Encinitas. We will be training for the Rock n Roll San Diego Half Marathon on May 31, 2015. Head on over to our website at http://bit.ly/SoleRnRHalf for all the important details! WOW! this looks like a great deal! I am training for my first R'n'R race in Nashville! woo hoo! Awesome Mary Beth! My friends and I are meeting in Nashville for the RnR this year! We should try to meet up! We've never been to Nashville and are super excited! I would totally sign up for this if I lived in the area. I've never trained with a group and this sounds amazing! Thanks Denise! I'm really excited about the program! It's going to be great! I absolutely love Rock 'n' Roll races! I can't wait to run several of them this year as a Rock 'n' Blogger. Which ones are you running? There aren't many races better than the RnR series!! I would love to do a race in San Diego one day. Come on out here, Lesley! Let me know if you do come out for a race! !